Two Vermillion restaurants, Little Italy’s and the Asian Buffet, have closed their doors with little warning. Nate Welch, CEO of the Vermillion Area Chamber & Development companies, said he is unsure of the exact reasons these restaurants closed, because neither were a member of the chamber. If a business is part of the chamber, Welch said they will often have a better understanding of how a business is doing. “In the nature of us engaging with our members on an intent scale to understand and help their businesses we often usually find out a bit sooner,” Welch said. The Asian Buffet has not offered any information into why they are closing, but Little Italy’s currently has a sign on the door that states they are closing due to an illness in the family. Welch said the chamber hates to see a business close, as it is their job to help businesses grow. He also said the impact of these restaurants closing can vary based on the business type and their popularity. Despite the closing of these two restaurants, Welch said city growth is on the rise. “Our numbers, when it comes to sales tax receipts BBB dollars (Bed, Board and Booze tax collection dollars) and building permits, are all at the highest they have ever been,” Welch said. 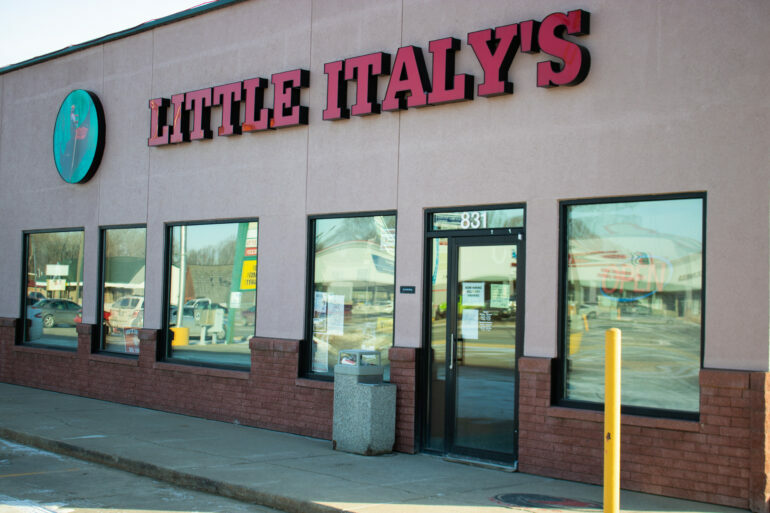 Molly Gordon, a sophomore nursing major, said she was sad that Little Italy’s closed because it was her favorite place to eat in Vermillion. Gordon said she thinks no other pizza places in town had pizza like Little Italy’s. “I don’t know where else in town I will get pizza from, that’s why I am sad they closed,” she said. Morgan Krege, a sophomore art education major, said she will miss the Asian Buffet because it is the only Asian-style buffet in town. According to Little Italy’s website, they are permanently closed. However, Asian Buffet has not yet said anything on their website about their closing.